I just said need to wait further news about iphone 5 yesterday in my post.Then today I read news about that Apple will hold a media press on 4th,October.And Tim Cook will host the press and maybe will introduce Apple’s new products and especially the public-focused one :iPhone 5. HOWEVER, no official information is released yet.So we only can say that is another piece of rumors only.But that is interesting,we can not ignore that Apple has earned lots of attentions from the public with those rumors from the day they released iphone 4.And iPhone 5 news never stop in the market. Do you think those rmors just one of the marketing strategy of Apple? Anyway,as Apple will open its HK Apple Store on 24th,September,and iphone 5 no matter this year or next year, it will finally come and generally speaking should be better than iphone4, I will keep an eye and plan to buy one then. What do you think？If you use an android cell phone,will you want to buy iphone 5 when it is available later?Or you still prefer to keep your android? 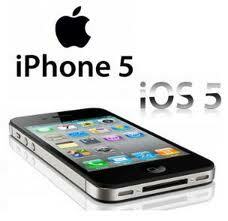 According to the survey,more than 50% of current android users would like to buy iphone 5 after it is released. There are lots of android phones in the market while there is only one Apple iphone.Public likes to be unique. P.S:I hope both white iphone 5 can be released at the same time with iphone 5.White is really beautiful and more suitable for female.Don’t you think so? However, no matter you use an iphone or an android phones,you can rip your favorite DVD movies to both of them with Any DVD Cloner Platinum – A powerful and easy-to-use DVD to android Converter ,also a DVD to iphone Ripper. ← Will iPhone 5 Come in 2011?